Chief Minister N. Chandrababu Naidu said, natural farming was the only solution to end the woes of the farmers and make agriculture profitable. 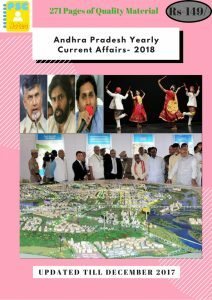 Naidu said the AP government had declared 2018 as the year of natural farming. He said more than 8,000 farmers across the State were attending the programme. The State government fixed a target of cultivation in 1.50 lakh acres spread across 972 villages. “Food cultivated through natural farming is healthy and in a way ensures a healthy life. We are spending close to ₹5,000 crore every year on health and we aim to reduce this by at least 20%,’’ said Mr. Naidu. Coming to the rescue of ailing banks, the Centre has pumped in capital of ₹7,577 crore in various weak public sector banks.